At Turner Plumbing Services we know everything needed in order to install your new boiler in Kent. However we also understand how costs can keep you from doing jobs as quickly as you would like. Our knowledge on all types and brands of boilers ensures us to inform you on the most reliable, energy efficient and cost effective boiler. Our qualified team follow all the regulations and boiler replacement guidelines. 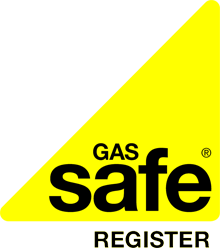 Our safety aware experts make sure every new boiler installation is gas safe. You can rest assured that we will install every boiler with the highest quality workmanship. Safety is our main priority when doing any job, which is why your heating system will first be surveyed by our engineers before any work can take place. If your boiler is leaking you may need n engineer to conduct a water leak detection service. We will tailor our recommendations based on what your home requires. Which is why customers ask us for advice on what kind of boiler they should get installed. We can then see which boiler will suit both your budget and heating requirements all the while keeping you and your home safe. So rest assured your boiler is in the capable hands of our talented team of engineers. We offer boiler installations in Bromley, Crayford and across Kent. We offer boiler replacement for all boilers with a variety of makes and models from ravenheat boilers, vaillant boilers and atmos boilerss. We only get our new boilers from the leading boiler manufacturers and install them both in homes and commercial properties in the Kent area. Turner Heating Engineers install and maintain a variety of trustworthy boiler brands. These include; Alpha Heating Innovation, Ariston, ATAG, ATMOS, BAXI, BIASI, Buderus, Chaffoteaux & Maury, HeatLine, Ferroli, GlowWorm, Worcester, IDEAL, InterGas, Johnson & Starley, Keston Boilers, Potterton, MAIN, Radiant, RavenHeat, Remeha, Saunier Duval, SIME, TERMET, Vaillant, Viessmannn, Vokera. We provide new boiler installations within Bromley, Welling, Bexleyheath, Dartford, Sidcup, Belvedere, Erith, Crayford & Gravesend. If you cannot see your area listed, please give us a call as we cover most of the areas in Kent and the surroundings in London & Essex. Speak with our friendly team of boiler engineers to get expert advice on boiler installations and replacement boilers Check out our combi boiler installation service?